Doors open at 10PM. Party until 1:30AM. Houseboi celebrates dance floor freedom, bringing together glittering and experimental drag performers with cutting-edge DJs who are helping to cultivate modern queer dance scenes in cities around the world. Houseboi prioritizes booking DJs and performers who are trans*, queer, non-binary, women, and people of color. 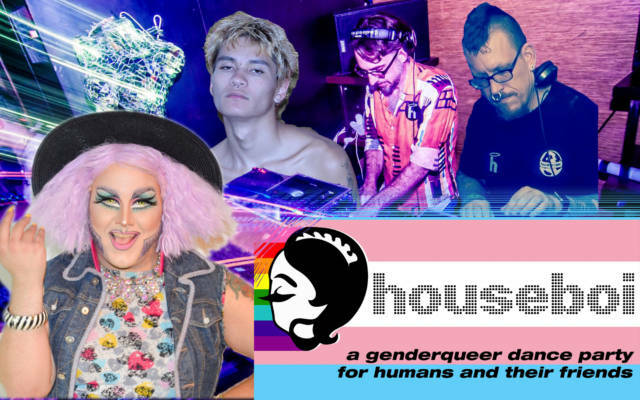 On Friday, November 16, Houseboi presents a Residents’ Night, with music from Lunamariposa, Char, and DJ Pussywillow, along with mind-expanding drag performances from Sham Payne and friends! Creative attire encouraged–everyone welcome!